To make a change from my review/ beauty box posts I thought I'd do a little haul post! I popped into Boots on Sunday and they are currently doing their 3 for 2 promotion across ALL make up (except premium counters)! I'm sure you all know how 3 for 2 works, you get three items for the price of two basically and the cheapest one ends up being completely free! Meaning it's a prime opportunity to stock up on your favourite products or test out some new ones! I decided to go for the latter and pick out 3 new items to try! The product has been under my beauty radar for a few weeks but I hadn't had the opportunity to pick one up. It's a brand new liquid lipstick offering from Bourjois. Since we've started having some nicer weather the shade 04 Peach Club was the one for me! It's such a pretty shade and very wearable - not too bold for an everyday look. Bourjois claim it lasts for 24hours!! - but we will see! I'll probably do a full review on this once I've had a good chance to test it out and report back. 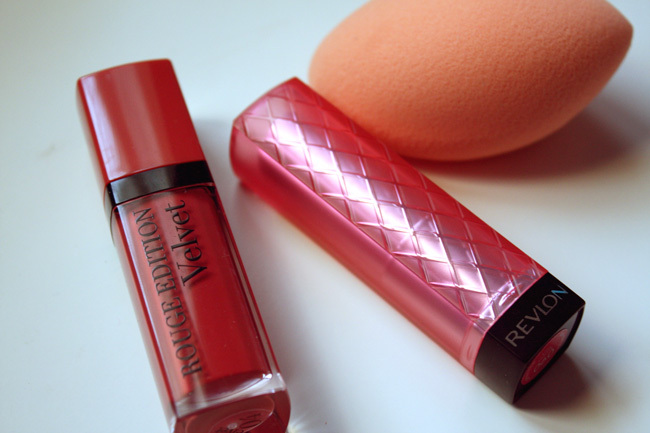 I'm no stranger to a Revlon lip butter, think I have five or six in my collection now. I simply love their formulas; super fan of the lipstick/lipbalm hybrid! I picked up the shade 090 sweet tart, it's a gorgeous pink shade for summer. My final item was the real techniques miracle complexion sponge. I've never actually tried a sponge applicator before and I didn't jump on the beauty blender band wagon - £16 for a sponge seemed a bit steep! - but it's been something I've wanted to try for a while. I like the look of this sponge, unlike the other round varieties this one has a tapered side to ensure a perfect application all over the face, even the hard to reach bits like nostrils. I'm looking forward to testing this out! Have you taken advantage of the boots 3for2 offer yet? If anyone has any make up recommendations I'd love to hear them, good excuse to take advantage of this offer again!